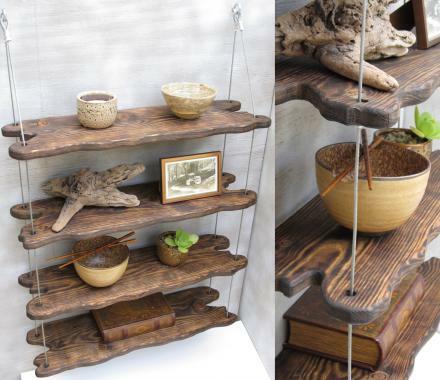 These hanging shelves are made from white pine driftwood and each piece of wood is given a free-form edge to give it a natural look. The shelves are torched and stained to give a depth and richness to the wood-graining, which can only be achieved through this process. 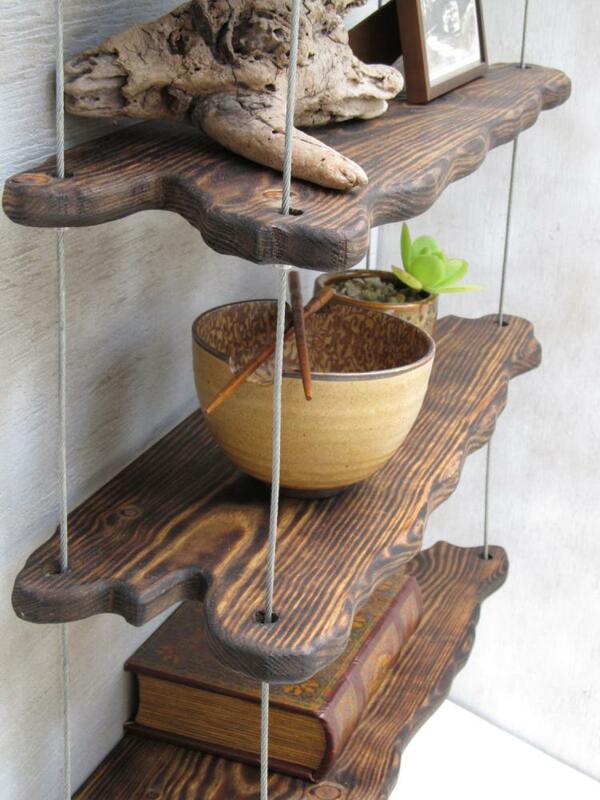 The hanging shelf consists of 4 pieces of driftwood, and steel cables that run through each piece of driftwood. 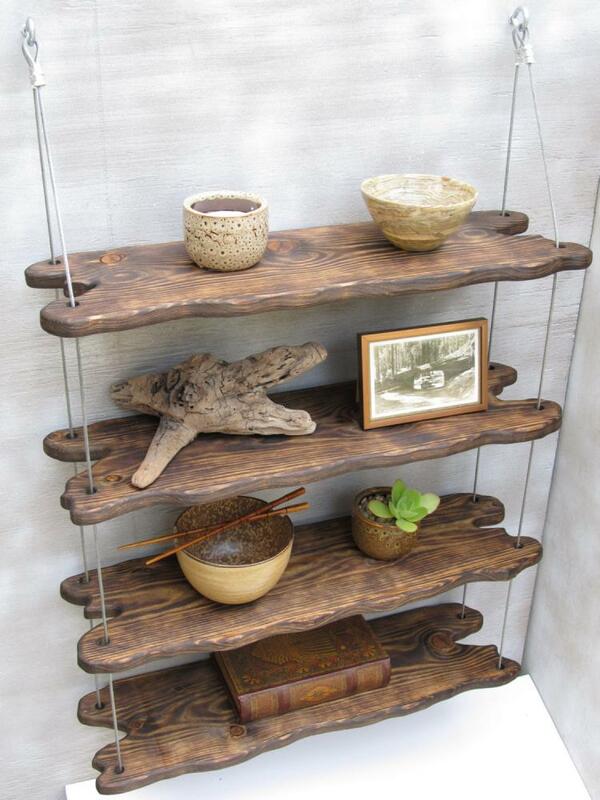 Created and sold by Etsy store DesignerShelving, the hanging driftwood shelves are just one of many unique shelving designs that the store offers, with many of their other designs including the unique hanging design using industrial cables and wood with a rustic and/or vintage look. 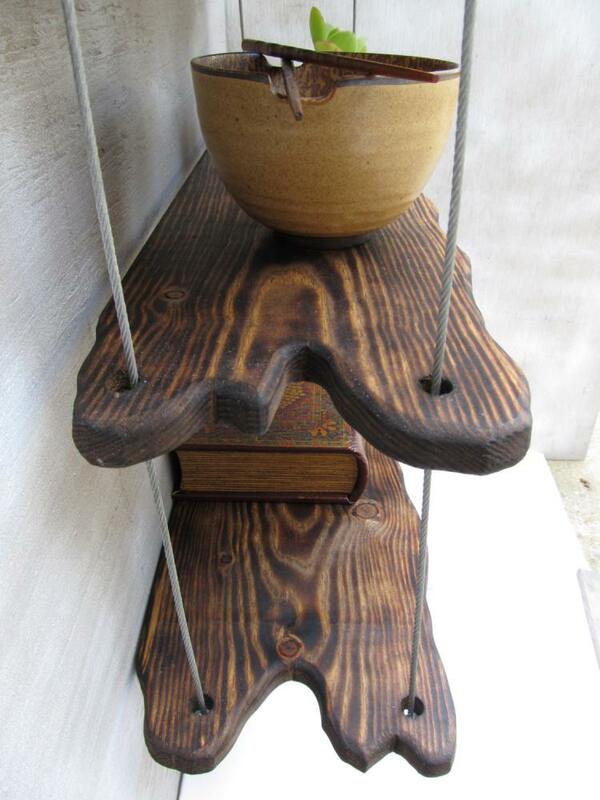 Due to the hanging design of the shelving set, you will only be required to put two holes in your wall where the cables come together at the top. 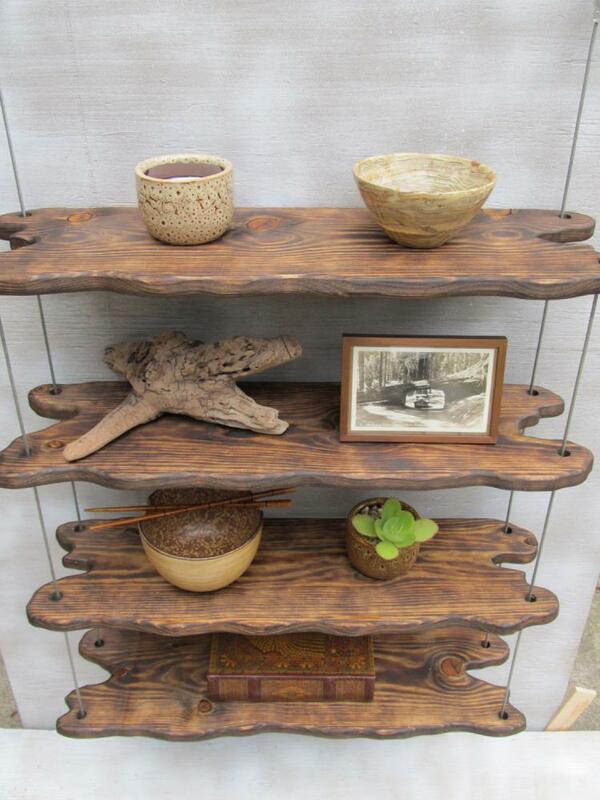 The distance between each shelf is 7.25 inches, and measures 35 inches tall x 23.75 inches across. 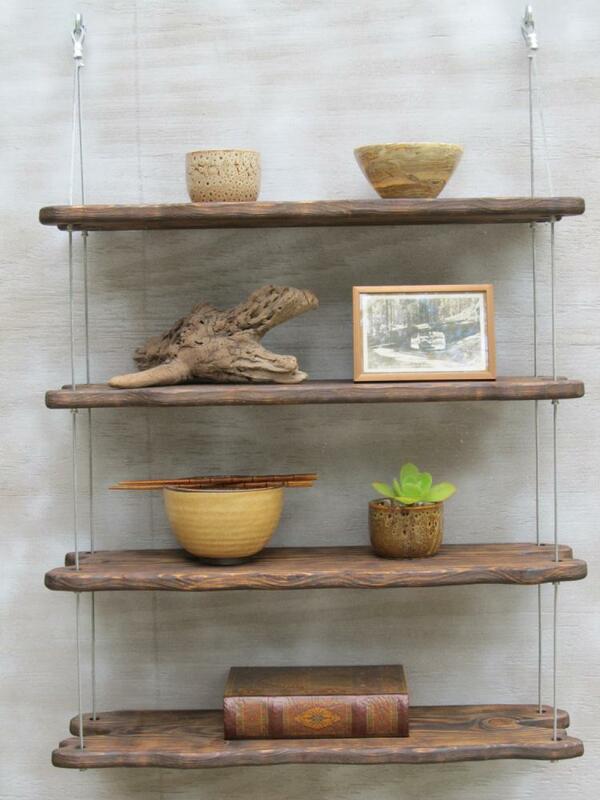 The driftwood shelving brings together a rustic look of driftwood along with the industrial look of steel cables to make a dramatic statement in your home and is sure to be a great conversation starter for anyone who sees it in your home.